Storing items in a self storage type building would seem to be less expensive, but is it really? When storing your personal or business goods here are some things to consider. How much space will I need to store my items? Trying to figure out how much space you need for your items can be very difficult. Let’s say you rent a closet style locker for $100.00 per month and you fill it? What next? Do you rent the same size locker and leave space leftover? Do you just get a larger locker for your goods? Now that my locker is full and packed tight how do I get the item in the back that I need? 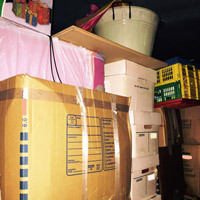 Rene’s Van & Storage has a team of professional loaders that figure out the space you will need to fit your belongings. We offer large storage vaults for almost half of the cost of a closet style locker and it’s much bigger too! Rene’s also offers smaller sized Vaults at lower rates to save you money. 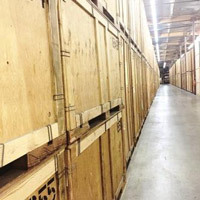 We will inventory your property and list the placement of each item in our vaults. This way if you need something in a pinch we can get it for you in a snap. By having a list of your goods our staff can open either side of the container to access your things quickly and efficiently. 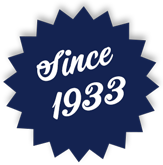 If you remove some of your items from Rene’s, we will consolidate storage to possible reduce your monthly fee. How safe am I and my items? The question to ask yourself is how safe am I and my things? Why do I have to worry about my safety? Who is storing items next to me? What are they storing in the room next to me? Is someone always watching the cameras to make sure I and my items are safe when I need access? The safety and the security of you and your property are very important to us. Since Rene’s loads and protects your goods we are the only people that have access to your personal items. Each vault is clamped closed and stacked with a forklift to secure your precious valuables. We are an appointment only facility, so we always know who is in our building and a staff member is always standing close by. 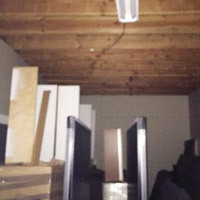 Rene’s will load the container for you, so our team will watch out for things that can be hazardous to store and will not allows dangerous or flammable items to be placed in our vaults. What kind of protection do my things have? Do I have replacement protection on my property if they are stolen? What about the weather? If the roof leaks and my items get damaged what happens next? What about total loss because of disaster how will they know how much my things are worth? Is there moister in the air from the air-conditioning? What about the dust? Rene’s is a full service Moving & Storage company and we offer standard coverage of .60 per pound per article. We also offer several different protection plans while storing with us. Our building is a concrete tilt up structure with a white coated roof which helps protect from the elements and reduces heat. By placing items into a container (Vaults) you get extra protection from moisture, dust and heat. Because Rene’s has an inventory of your precious goods we can identify what you have in storage with us at all times.